Rendering courtesy of Gene Kaufmann. 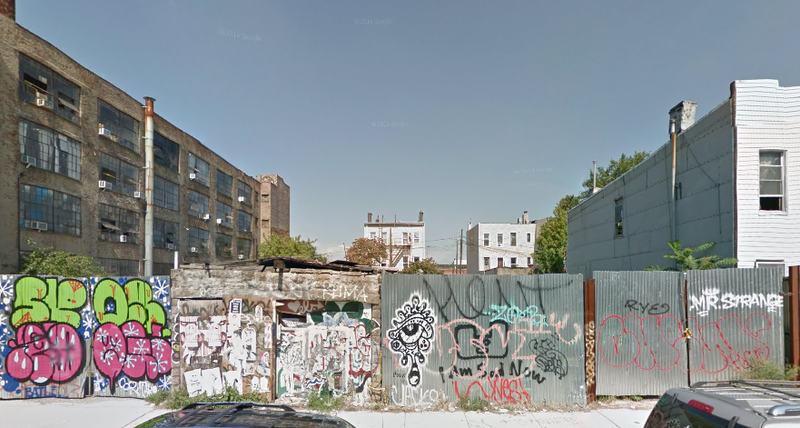 The owners of 56 Bogart gallery and artist studio building aka The BogArt, Ted and Marianne Hovivian are developing another mixed-use artists’ work space at 13 Grattan St. The development of 13 Grattan St. lot, which is currently empty, was announced in June 2014. 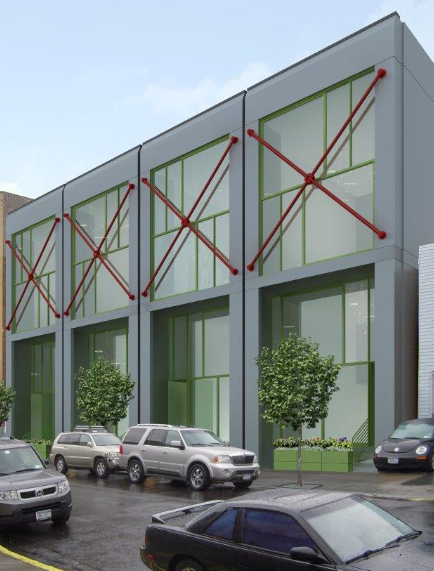 Since the lot is literally annexed to 56 Bogart, the owners decided to name the project, The AnX. The AnX structure will comprise of 23,000 sf structure, and will offer a combination of work-space lofts and 8,000 sf of ground-floor retail, restaurant and basement space, emailed us Gene Kaufman rep. "With its soaring 12-foot ceilings, upper-floor terraces, and large windows that bring in lots of natural light, 13 Grattan will combine the spirit of 19th-century European ateliers with the sophistication of 21st-century technology, materials and amenities." Galleries began to move to 56 Bogart in 2011, and the building became a major gallery hub in Bushwick. The AnX seems to plan to continue this trend, even though the slick Kaufmann's design predicts a very different feel and vibe than we're used to seeing in Morgantown. But before you exhale in that long gentrification complain sigh, we should actually applaud to the Hovivians for counting with the artists in their plans also in the future and not constructing a straight up Bushwick mall or a hotel instead.